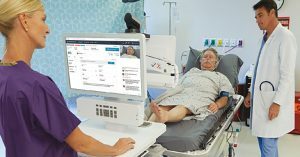 In the world of telehealth, licensing and credentialing issues are amongst the initial concerns many health systems have when considering integrating telemedicine into their system. As state medical and nursing boards require providers to be licensed to practice in the state where the patient is physically located, a simplified process is essential. The Interstate Medical Licensure Compact is a streamlined process that allows physicians already licensed to practice in one state that is participating in the compact, to become licensed in other states participating in the compact without going through the full licensure process. There is a nursing compact for RNs interested in streamlining the licensing process as well. The purpose behind these compacts is to make it easier for physicians and nurses to obtain licenses in other states in order to increase accessible healthcare to individuals in underserved and/or rural areas. It also assists in the overall ease of consulting with a medical professional through telemedicine to the general population. Do telemedicine providers have to be licensed in the state where their patients are? Yes. 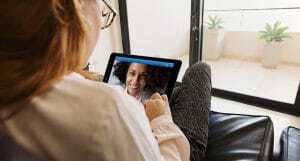 States do require providers to be licensed in each state that they practice in, which means it is essential for them to know which state the patient is calling from to verify that they can indeed participate in the virtual visit. The physical location of the provider is not considered an important factor in regards to where they are licensed, though this varies state-to-state. Credentialing is the process of evaluating and verifying the qualifications of physicians, nurses, organizational members, or organizations’ current licensure and assessing their background and legitimacy. This process tends to be completed by the organization that will bill for the provider’s services. 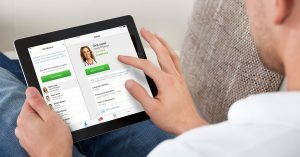 Do telemedicine providers have to be credentialed? If so, where? Telemedicine provider credentialing requirements are usually based on the source of payment the patient chooses to use for the service. Whether or not the provider must be credentialed at the facility where they are located while practicing is typically specific to the type of facility and what the rules and guidelines are for that facility. Providers do generally need to be credentialed at the facility where the patient is located as well. These questions are just a starting point. To learn more about licensing, credentialing, and the ever-changing telemedicine landscape, visit the Center for Connected Health Policy.